In the last few days those in Africa’s tech startup scene have been kept busy with the release of at least three reports that detail the funding that tech startups on the continent received in 2018. Yet as the number of reports and articles pile up, startups and others may be forgiven for being left a little confused. While the authors of the various reports have all put a figure to it, in each case the number differs from one report to the next. In its African Tech Startups Funding Report 2018 released on Monday (28 January), tech site Disrupt Africa puts the figure as 210 startups having secured $334.5-million worth of investment. While SA tech site Weetracker, in its African Venture Capital 2018 Report released earlier this month, has it that $725.6-million was invested last year in 458 deals. With three reports all with different figures, what is the real amount in funding that went to African tech startups? Digest Africa, in its Digest Africa Index released this month, has the figure as $1.19-billion in total deal value in 454 deals (the Uganda-based publication however, includes all technology firms in its report, not just to startups). What then accounts for this significant variation? Simply put, each report has likely chosen to measure different things when surveying the continent’s tech investments. It comes largely down to two things — what each report’s authors opt to include as investments (Does one also count grants and prize money too and very small seed investments, alongside venture capital?) and what kinds of firms each report includes when summing up the number of investees that received investments (Can a company of over seven years still be classified as a “startup”? What about US-based startups run by Africans?). Yet it’s not easy to tell whether the three reports have necessarily taken this into account. Of the three, only Digest Africa makes its methodology accessible to all readers. It includes quite a detailed methodology page (which is summarised in an executive summary) and describes what data was included, what was measured and how this was measured. For instance the authors point out that the figure of $1.19-billion in funding that they arrived at, includes not just venture capital and angel investment but also debt loans, grants and awards and non-equity assistance, initial coin offerings (ICOs), crowdfunding and corporate funding. In addition, the report’s authors make it clear that they included only deals amounting to $10 000 or more when arriving at the total funding figure. Digest Africa also notes in its methodology that assessing whether a company is based in Africa is not as easy as it seems. “It is hard to determine which country a startup in Africa belongs to by relying on their incorporation information, partly because some companies — especially those with investors from the US — usually incorporate in the US. While others may opt for Mauritius as the incorporation place for the holding company,” it notes. To get around this Digest Africa largely relies instead on where a company’s headquarters are located. Those headquartered on the continent but incorporated elsewhere, are still considered African. For Weetracker and Disrupt Africa’s reports, it’s not clear whether a detailed explanation is included with the report (which one must pay to access) or not. Disrupt Africa, which Ventureburn last year questioned over the methodology it uses for its various surveys (see this story), again does not include a page or description of how data was gathered. In July last year Ventureburn questioned Weetracker over the methodology that it employed for its earlier African startups and VC ecosystem report — particularly at a report that included a $47-million deal involving a 15-year-old Kenyan telecommunications company, Cellulant (see this story). Ventureburn’s own calculations on the level of funding that went to African tech startups in 2018 is based on two things — on only venture capital and large seed investment deals in which funding amounts were disclosed (25 deals reported by Ventureburn in 2018 were left out for this reason) and secondly, in such deals concluded by companies founded in the last seven years. Going on this, tech startups in Africa raised $178-million from 48 venture capital deals that were disclosed in 2018 (see this story). In calculating this figure, Ventureburn was clear that the true amount raised by African startups could run into hundreds of millions of dollars, perhaps even topping a $1-billion. 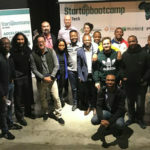 For example, in October last year for the organisers of annual tech startup conference AfricArena said the amount of VC raised by African startups could for the first time exceed $1-billion (see this story). All three publications are being sold for considerable amounts (at least $300 for Disrupt Africa’s report and $299 for Digest Africa and $100 for WeeTracker’s report). However, these publications need to be very clear about how they went about gathering the data — otherwise these publications are doing a disservice to the continent’s tech startup scene by turning out data that is questionable. Research has — for many publications — become a commodity or revenue source. The question is, in doing so, have the fundamentals of rigorous research been left by the way side? Read more: Are these the biggest disclosed VC deals in 2018 involving SA tech startups? 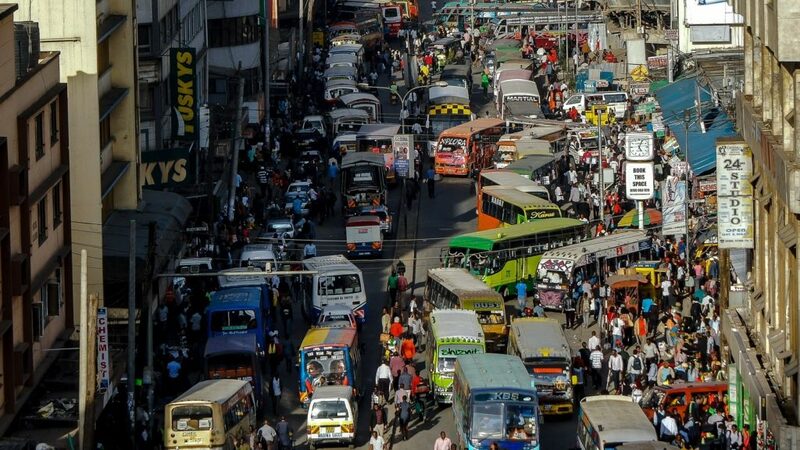 Featured image: Nairobi city centre by diaznash via Pixabay.